A/Prof David Ziegler is a senior Staff Specialist in the Kids Cancer Centre at Sydney Children’s Hospital. He is also a Group Leader at the Children’s Cancer Institute where his preclinical research focuses on novel therapies for childhood brain tumours. 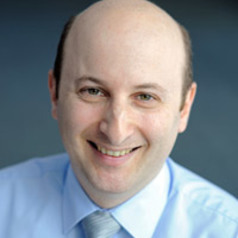 He is a paediatric oncologist with expertise in neuro-oncology and early phase clinical trials. A/Prof Ziegler completed his clinical training in paediatric haematology/oncology at Sydney Children’s Hospital. From 2005-2007 he was a Fulbright Scholar at the Dana Farber Cancer Institute, Harvard Medical School and Children’s Hospital Boston. His research focused on the preclinical development and clinical translation of novel therapies for paediatric brain tumours. A/Prof Ziegler has established a translational research program to develop novel therapies for children with cancer and heads the KCC clinical trials unit at Sydney Children's Hospital. He is currently one of the chief investigators of an international clinical trial of the drug DFMO. The trial is open at Sydney Children’s Hospital, Randwick and in 14 hospitals across North America. Our research shows that chemotherapy drugs attack neuroblastoma much more effectively when used in combination with DFMO. The trial is assesssing the safety and activity of DFMO given together with chemotherapy for children with relapsed neuroblastoma.